It uses an extract of plant stem cells, which neutralizes free radicals and acts as a highly effective antioxidant. Natural extracts from avocado, algae, baobab, roses, Mauritia Flexuosa (aguaje) and milk thistle form a priceless source of vitamins, minerals and amino acids essential to the skin. Active ingredients enhance the neutralizing of free radicals and stimulate collagen and elastine production, which in turn helps to regenerate skin cells. The highly rich active ingredients in the serum trigger the skin regeneration process, improve its lifting properties and guaranteeing a smooth skin. Cellular Regenerating Night Serum was developed after the Fereto specialists discovered that the secret of skin regeneration is all about stimulating the right components in the dermis. The upper layer of the dermis is affected by pollution, temperature changes and exposure to ultraviolet radiation. 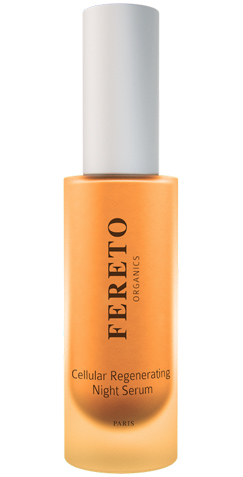 Any skin imperfections, including small wrinkles, will fade out when you use the Fereto Regenerating Serum. Your skin will benefit from an in-depth regeneration. 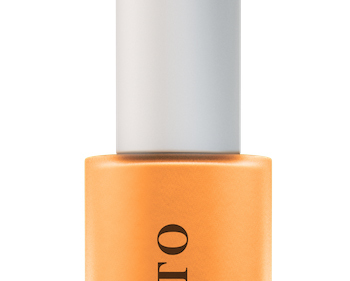 The serum works best if applied by gently massaging the cleansed skin area, just before going to bed. When in bed, you can rest knowing that it contains only 100% natural, organic ingredients. 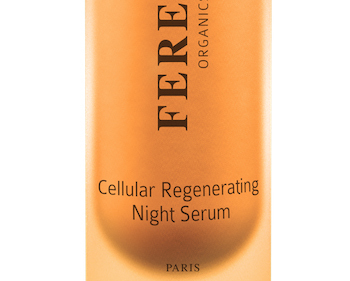 Cellular Regenerating Night Serum, with its triple action for skin regeneration, is part of Fereto’s organic dermocosmetics collection, created together with dermatologists and chemists from laboratories in France and bio-certified by Qualité France. Our products guarantee respect towards the environment as well as towards our clients, through every aspect of their production process. They are made from 100% natural ingredients, have not been tested on animals and their packaging is made from biodegradable recycled materials. We have witnessed incredible results with clients suffering from eczema, dermatitis and rosacea. 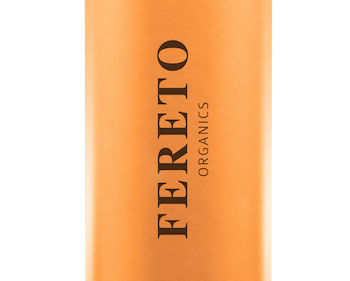 While Fereto’s products were not necessarily formulated to treat these particular skin conditions, their pure ingredients clearly have endless benefits.